The supposed death of retail hit full swing in 2017. Brick-and-mortar brands considered too big to fail, such as Payless, Rue21, RadioShack, and Toys “R” Us, were among 300-plus retailers that filed for bankruptcy. As 2018 progresses, we find teetering brands still collapsing while others shore up foundations by combining downsizing with omnichannel moves. Experts are quick to point to the rapid growth of e-commerce, online giants like Amazon, and mobile-driven shopping as the horsemen of the retail apocalypse. However, as the dust settled on 2017, we saw that the main victims were location-bloated mall chains and slow-to-evolve big box stores. Nimble businesses are actually thriving—especially those taking advantage of online, local search, and omnichannel marketing and selling opportunities. Below, we’ll examine the fallout of the 2017 retail shakeup, look at running trends in 2018, and explore ways for small retailers and solopreneurs to navigate the new disruption economy. Brick-and-mortar stores shuttered in record numbers in 2017. In fact, the number of US closures neared 9,000, according to Garrick Brown, Cushman & Wakefield’s vice president of retail research for the Americas. This exceeded combined US retail store closures from 2003 to 2006, and heralded the end of brands such as WetSeal and The Limited, along with the near-demise of many others, including RadioShack and Payless Shoes. Store closures are continuing in 2018, with an expected 11,000 additional closures—nearly 30 percent over 2017. These closures are largely due to roughly $70 billion in retail leases expiring in 2018, according to Brown. One thousand of these are expected to be large department stores, continuing the death knell for many teetering malls and suburban retail centers. Other victims of the continued plague of closures are location-bloated mall chain brands, drug store chains, grocery stores, and more big box stores including Best Buy and Sam’s Club. However, according to Moody’s, the continued 2018 closures aren’t raising as many flags as the 2017 announcements. This is due in part to the retail apocalypse being somewhat old news in 2018. Many 2018 closures are continuations of downsizing plans announced last year. In many cases, these are strategic, smart plays designed to reinvigorate remaining retail store brands. Add to that fact that more than 2,861 stores were slated to open in 2017, and the total demise of brick-and-mortar retail is decidedly a myth. Is retail, as a whole, reeling? No. Are a great number of overbuilt and overextended retail brands being forced to make much needed changes? Yes. But plenty of retailers, large and small, are doing just fine and even expanding to fill in the gaps. Even with expected 2018 closures topping 2017’s numbers, the death of the brick-and-mortar storyline isn’t one of the demise of the retail industry—or even of brick-and-mortar stores in particular. Rather, it signals that changes to the traditional retail model are on the way, led by the rise of e-commerce, mobile device shopping, and shifting customer expectations, and also whether or not an independent or megabrand is immune. It’s common knowledge that the competitive moves of leading online brands like Amazon, Wayfair, Etsy, eBay, and countless others have turned traditional retail on its head. 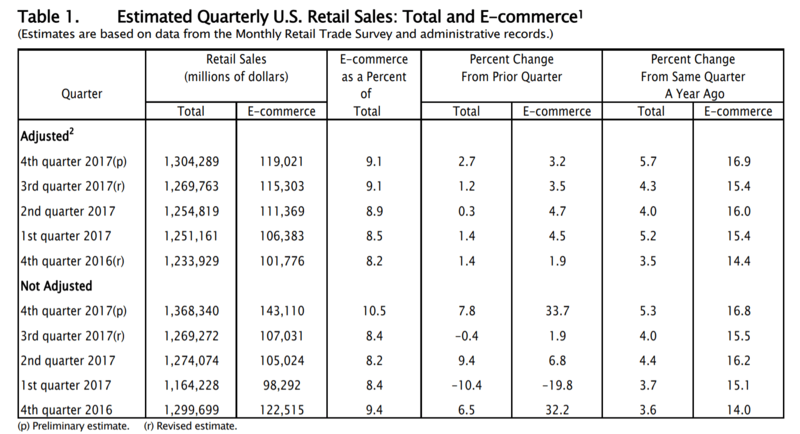 But online and mobile device sales are still a drop in the bucket compared to total retail sales. The U.S. Department of Commerce reports that in 2017, e-commerce accounted for just $452 billion of the more than $5 trillion in retail sales. If you do the math, that’s less than 10 percent—8.9 percent, to be exact—of total retail 2017 sales. Online shopping may be the buzzword for the reason retailers are closing, but clearly, clicks are a long way from overtaking bricks. 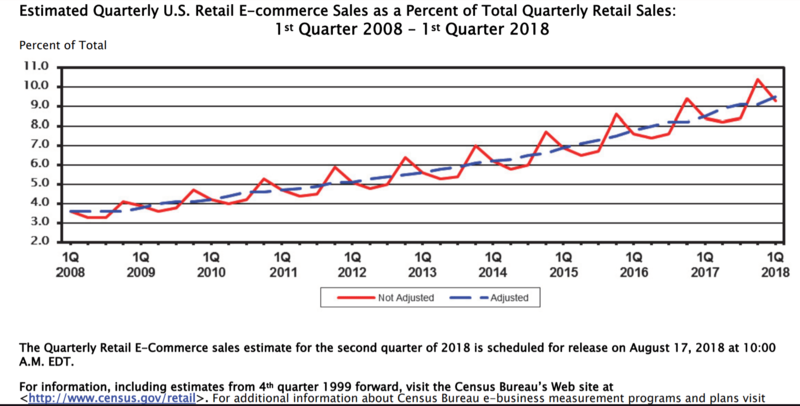 That said, the e-commerce trend is here to stay and—more importantly—is driving a decided change in consumers’ overall shopping behaviors and expectations. It signals the importance of stores large and small having a sound digital strategy moving forward. If e-commerce were the one-and-only way ahead for retailers, we wouldn’t see Amazon, the definitive online leader, making strong moves into the brick-and-mortar sphere. Its 2017 purchase of Whole Foods, rollout of urban Amazon Go stores, and daily deals on Treasure Trucks all put Amazon within the physical reach of consumers in major metropolitan areas across the US. In that same vein, megachains Walmart and Target, retailers like Nordstrom, and specialty brands like Williams-Sonoma and Sephora are making calculated moves into e-commerce and mobile sales strategies to bolster their overall brand. Many of these moves, like store pickup, same-day delivery, and concierge services, are designed to deliver the convenience that Amazon offers and bring customers into brick-and-mortar locations. These retail brands, plus plenty of others, are using continued 2018 brick-and-mortar downsizing efforts to concentrate on top-performing locations and, more importantly, refocus assets on omnichannel efforts. Retailers large and small recognize that consumers’ path to purchase no longer centers on in-store browsing and discovery. Thanks to mobile devices, in-app purchases, local search, review sites, social influencers, and other digital tactics, consumers do their online homework before making a purchase. And more than half do it from a mobile device. So, thanks to the changing habits of consumers in the digital age, brick-and-mortar stores—large and small—are evolving. Looking forward, Moody’s 2018 Retail Outlook points out that strategic 2017 and 2018 closures, increasing consumer confidence, tax reform, and other economic indicators signal stabilization for retail in the latter part of 2018. These economic bellwethers point to a good and improving outlook for small, nimble independent sellers—especially those who can quickly adopt omnichannel technologies and offer personalized and experiential services at the local level. Gone are the days when shoppers stand in awe of the countless choices presented by large retailers while waiting for a representative to be available. Now, consumers prefer to shop small, and take pride in doing so—even if that shopping starts online. During Small Business Saturday 2017, 43 percent of Americans reported shopping or dining with small, local businesses, and 35 percent of those patronized small online businesses. The spending shift from large retailers to small businesses is driven both by convenience and by local retailers’ ability to deliver prompt and personalized services. For example, some small businesses are offering personal shopper services, custom products to fit a customer’s budget, and superior customer service. Even businesses like small independent bookstores, which media often cite as victims of the e-commerce rise, are doing pretty well. The American Booksellers Association estimated that the number of independent bookstores has risen 27 percent since 2009, rebounding from the recession. Small businesses that adopt modern point-of-sale (POS) systems are in a position to better serve shoppers’ needs on a personal level, too. Tracking customer sales data and purchase histories give small retailers a complete view of who’s buying what. This data also plays a key role in making strategic purchasing decisions and fine-tuning marketing and loyalty campaigns to entice customers back through the doors—be they physical or digital. POS systems like Square POS are within the budgetary reach of even the smallest seller. With it, retailers of any size can gather shopper data via in-store and online sales and use these insights to deliver marketing efforts wherever buyers are—online, in-store, via email or loyalty promotions. Add to that a full suite of business, sales, and inventory management tools, and even a free POS system dramatically evens the playing field. Millennials are rooting for the local economy even if it costs them more. Roughly seven out of ten millennials claim that purchasing American-made products is important to them, according to Edelman Digital. Forty percent say that they prefer to shop at local stores even if items are more expensive. In addition, millennials are spearheading efforts to buy food locally, which contributed to the rapid growth of the $29 billion industry, according to AdWeek. The Millennial Generation favors local brick-and-mortar stores because they sell value-added, handmade and quality-driven products and provide a personal shopping experience. “Millennials have a strong sense of community and like to feel connected to the products and services they buy. Because of this, they’ll consider spending more at the store down the street than they may with a large corporation or chain,” writes Targetwise CEO Chelsea Segal. Likewise, Generation Z increasingly identifies with brands and influencers and make purchase decisions that connect them to these ideals, according to Matthew Shay, the President and CEO of the National Retail Federation. They also seek experiential shopping environments that offer interactive engagement beyond a purchase. Being that a good portion is still under the age of 18 and don’t yet have their own credit cards, Generation Z shops where they can spend cash—and that’s local retailers. 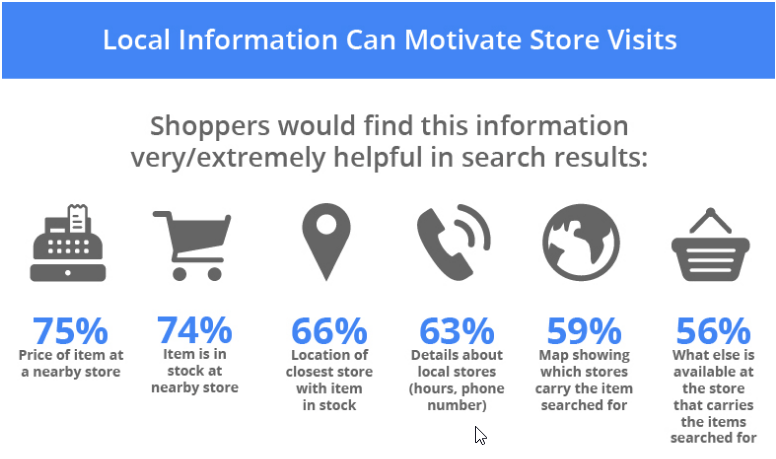 Nearly 75 percent of in-store shoppers report searching for products online or via mobile device to locate local sellers. Online research provides shoppers with pertinent information about the product, including price, quality, durability, materials, and local availability. Armed with that information, shoppers still head to stores to complete the purchase. This is great news for local stores and independent retailers. For small business owners who aren’t sure how their information appears online, Yext offers a free service that will scan major search engines and show exactly how information about the business appears in local search results. This makes it easy to see exactly what information may need to be added or updated to drive more traffic through the doors. Click here to run a free scan. Consumers, including local shoppers, pay particular attention to user-generated content like product reviews and ratings when making a purchase decision. 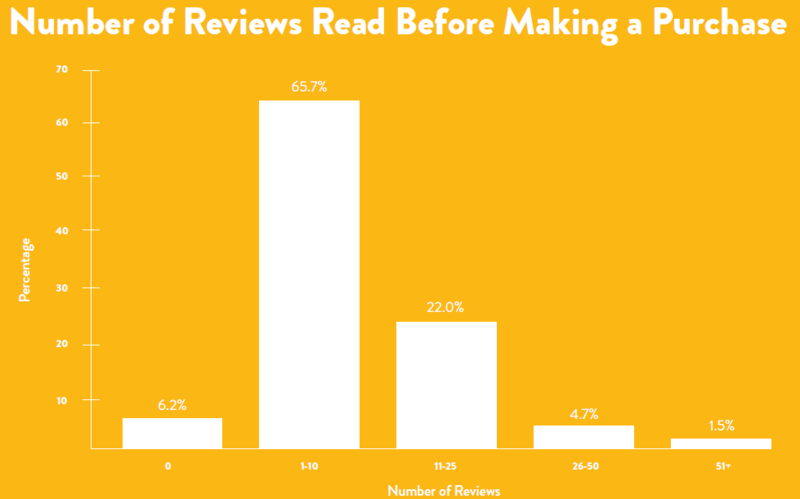 A study by the Power of Reviews revealed that 65 percent of consumers read one to ten reviews before purchasing a product. To maximize the number of reviews people can read, business owners can leverage reviews across multiple sites with Podium. This review management tool lets you solicit and manage online reviews from over 20 sites — such as Facebook and the BBB — to help increase your rankings in search results for one low price. Watch this 3-minute video demo to see what Podium can do for you. So, while most retail journeys conclude in-store, online search and user reviews still influence a large percentage of retail purchases. When it comes to things like apparel and shoes, consumers are still fond of products sold by big brands. They just want it at a discount. 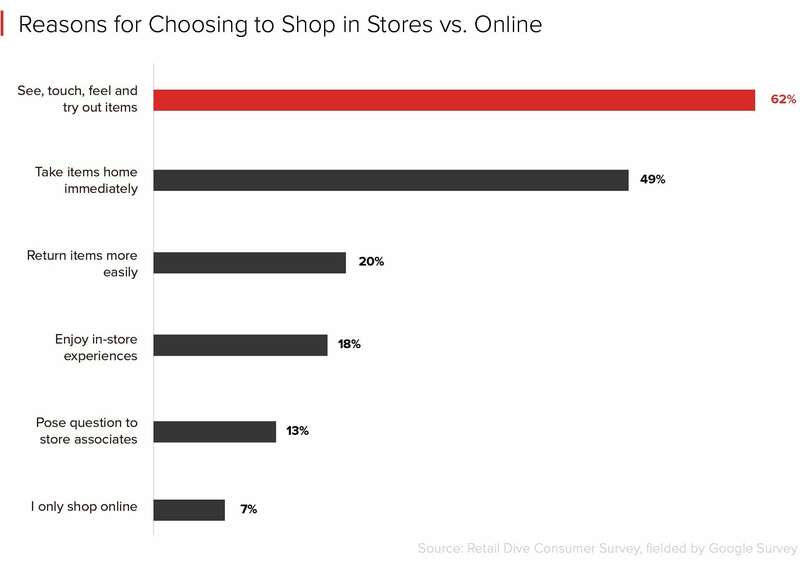 According to NPD Group’s Checkout Tracking, two out three shoppers spend at off-price discount retailers. 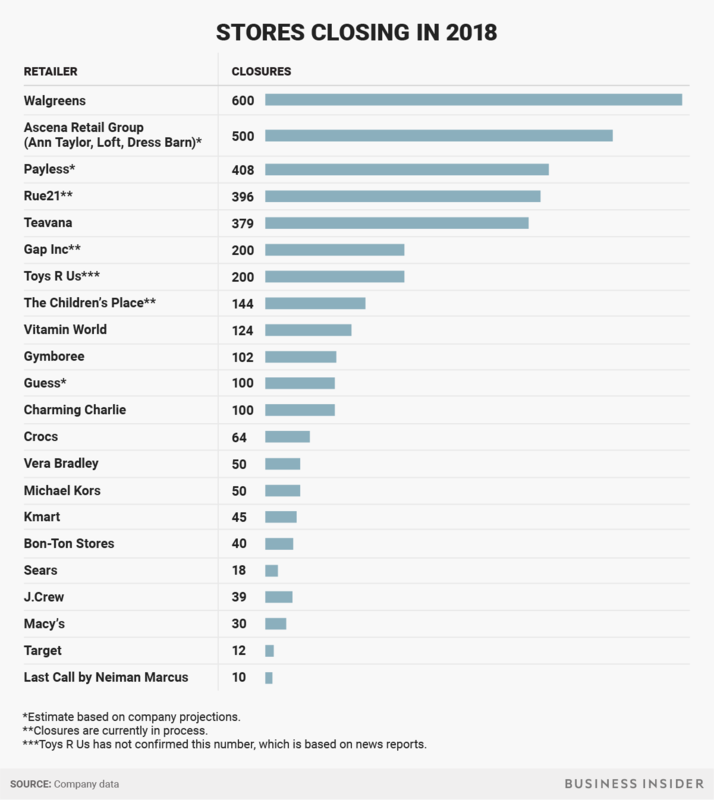 This explains the success of discount stores like TJMaxx and Marshalls, whose 260-store expansion plans are bucking the mall-chain failure trend. The NPD Group chief industry analyst Marshal Cohen said, “Off-price retailers are resonating with fashion and cost-consumers alike, and are stealing department store business for good reason.” Shoppers want the best value for their money, and off-price retail satisfies the demand. In addition to discounted merchandise, the rapidly changing inventory of off-price retail continues to drive foot traffic. Shoppers are in the dark on the items and discounts offered by off-price retailers, fostering a treasure-hunt vibe that rivals the convenience provided by online shopping. The thrill of finding high-quality merchandise at low prices serves as a great motivator for consumers to spend time and money in discount retailers. While online shopping offers comfort and convenience, consumers still prefer to get a firsthand look at the product when shopping. Out of 1,425 US consumers surveyed by Retail Dive, 62 percent chose in-store over online shopping because they want to see, touch, feel, and try out items. The study notes this is especially true for women, rural, younger, and older shoppers. “People find it hard to choose when they can’t touch or try the products,” says Dimira Teneva, Content Manager of e-commerce analytics platform Metrilo. “Physical stores create elaborate sensory stimuli to create an illusion that you’re at the beach, or the best athlete, or the sexiest dancer, or the handiest DIY enthusiast—and people enjoy this fantasy,” she adds. For many American consumers, experiencing products through their senses is the primary reason to shop in-store as opposed to online. For this reason, furniture is one product that many customers prefer to purchase in person. Furniture store sales have risen continuously since 2009, outpacing department stores and electronics and appliances stores. 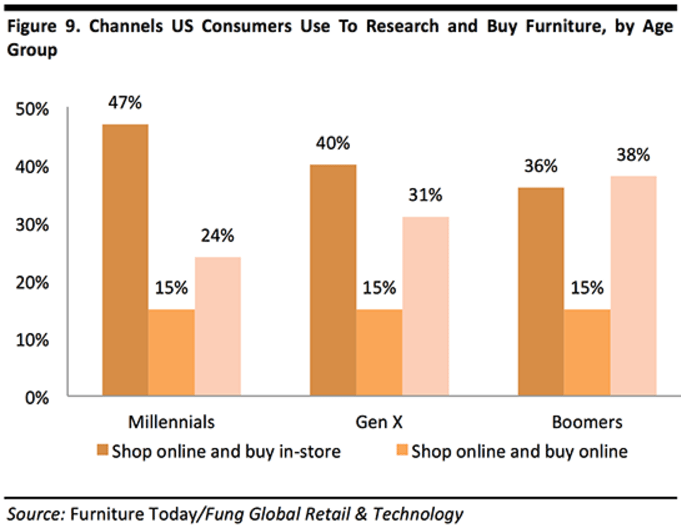 According to a Furniture Today survey, online channels account for just one out of ten furniture and bedding retail sales in the US. Most Americans still prefer to get home furnishings in-store. This trend extends to the beauty and personal care sector. The U.S. Department of Commerce reports that the health and personal care category recorded a 7.3 percent change in year over year sales from 2016 to 2017. 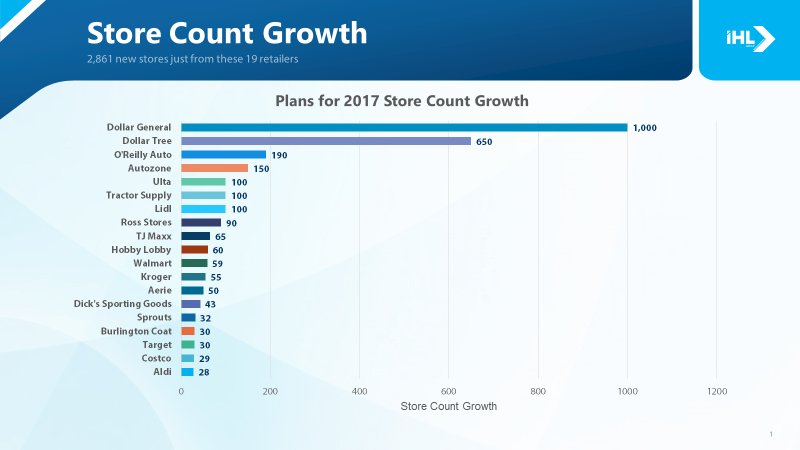 Most of this sales growth occurred in-store. Nine out of ten consumers purchased cosmetic products in-person, such as hair styling products, shampoos and conditioners, and sunscreen products. So, there are many reasons for independent retailers to feel positive about the future. But to truly thrive, it’s important to embrace the omnichannel “new commerce” trends that shoppers increasingly expect from all retailers, no matter their size. Next, we’ll explore how you can adopt and integrate modern sales-driving tactics into your retail business. Overall, the retail apocalypse appears to be passing over small retail businesses, especially those that have adopted omnichannel sales and marketing tactics. In fact, some small brick-and-mortar stores are benefiting from the demise of nearby mall chains and big box stores. However, the favorable landscape doesn’t mean that Main Street entrepreneurs can sit on their laurels. This is an opportunity to capitalizing on omnichannel trends that drive both online and physical traffic to your store. 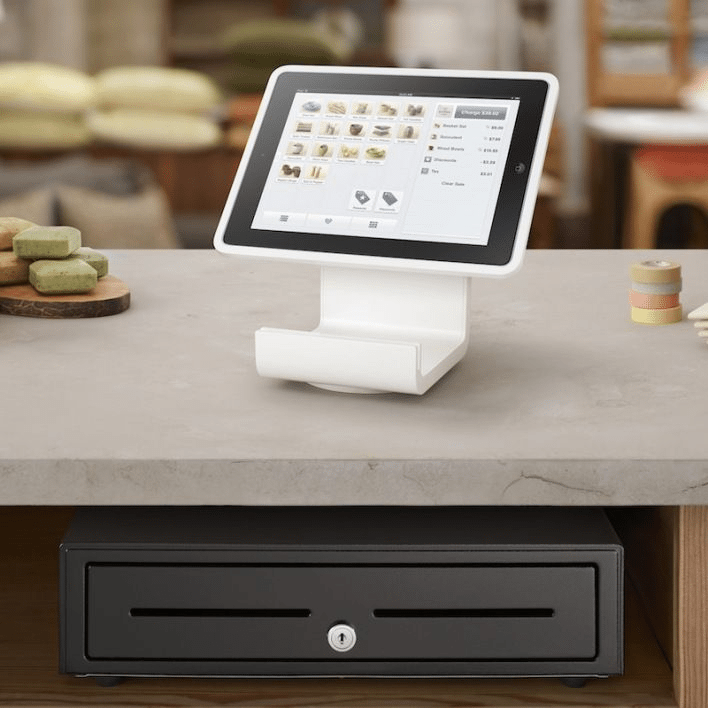 With free POS systems on the market, like Square POS, there’s really no reason for independent retailers to not adopt this omnichannel sales tool. 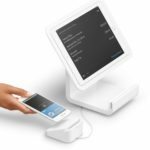 Square POS tracks customer purchase history and offers built-in loyalty, email marketing, and e-commerce features for a complete omnichannel operation. Having this detailed sales and customer data at your fingertips puts you on a higher playing field. In fact, being hyper-focused on its customers’ buying habits is the basis for Amazon’s runaway success. A POS can deliver this and help you use your customers’ buying habits to increase your store’s sales and profits. As mentioned above, many consumers research merchandise online before going in store to purchase it. This means that having a website is a must-have for small retailers. Unfortunately, roughly half of US small businesses still don’t have a website. Without a solid online presence, you risk losing customers and revenue. Increase discoverability, as 90 percent of consumers rely on the internet to find goods and services. Drive foot traffic to your store, as 50 percent of mobile users visit a store after conducting a local search. Creating a website can be easy and quick with the right guidance and tools, and launching an e-commerce website is simple work with Square’s online store platform and other small business e-commerce options. Social media both drives direct sales and brings shoppers through your door. According to a study by GlobalWebIndex, nearly 40 percent of individuals ages 25 to 44 used social media to research products before making a purchase in store. And with Facebook Shops, Instagram shoppable posts, and Pinterest buyable pins, you can even sell via social media and offer delivery or in-store pickup. Find out more creative and innovative ways to get people posting about your brand on social media to drive interest and increase in-store traffic. Today’s shoppers are always on the go and want immediate, personalized service. A study conducted by the National Retail Federation revealed that 85 percent of shoppers will abandon their intended purchases if prompt assistance is not provided. The same study found that 54 percent of shoppers valued prompt service the most, followed by personalized experience (30 percent) and smart recommendations (30 percent). Finally, the study discovered that only 27 percent of consumers feel that big brand stores tried to provide VIP-like attention. Here’s your opportunity to shine. 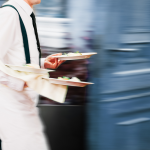 Train your staff to engage customers in a prompt and friendly manner. It would also be great if your team can learn the customer’s first name to add a touch of personalization to your service. Experiential in-store services help brands create buzz and stand out—and millennial and Generation Z shoppers simply expect it. That’s one reason why Urban Outfitters bought Pizzeria Vetri and integrated it into their stores. The retailer opened lifestyle centers where customers can eat, drink, read, and even enjoy salon services before, during, and after shopping. This really is nothing new, though. Years ago, Barnes & Noble started serving coffee, tea, and baked goods through B&N Cafe. Customers know they can get lost in their favorite book while sipping a hot beverage, and that brings them back and keeps them in-store longer. As a small business owner, opening lifestyle centers may be out of reach, but that shouldn’t limit you from offering additional services. This can be as simple as installing phone charging stations or offering in-store tailoring. Have fun with hands-on activities, too. Decor and craft stores can have a craft-of-the-day corner. Sporting goods retailers can dedicate a certain area where customers can shoot hoops and post their results on social media. Fashion boutiques can have members-only cocktail and trunk-show parties. There are plenty of cost-effective services and events that can drive shoppers to your store, create a memorable experience, and give you an edge over the competition. The retail industry isn’t dying, but it is going through a huge transformation that’s largely led by changing consumer shopping behaviors and expectations. Small and local businesses are thriving, along with discount shops and nimble chain stores, even as more mall brands and department and box stores falter in 2018. E-commerce is undoubtedly growing at a rapid rate, but its total market share is too small to cause the demise of brick-and-mortar retail. What e-commerce is doing is driving a complete change in the way business is done—causing consumers to change, and retailers must adopt omnichannel thinking to succeed in the “new commerce” economy. For many independents, that all starts with knowing what your customers are buying and being able to cater to their needs. 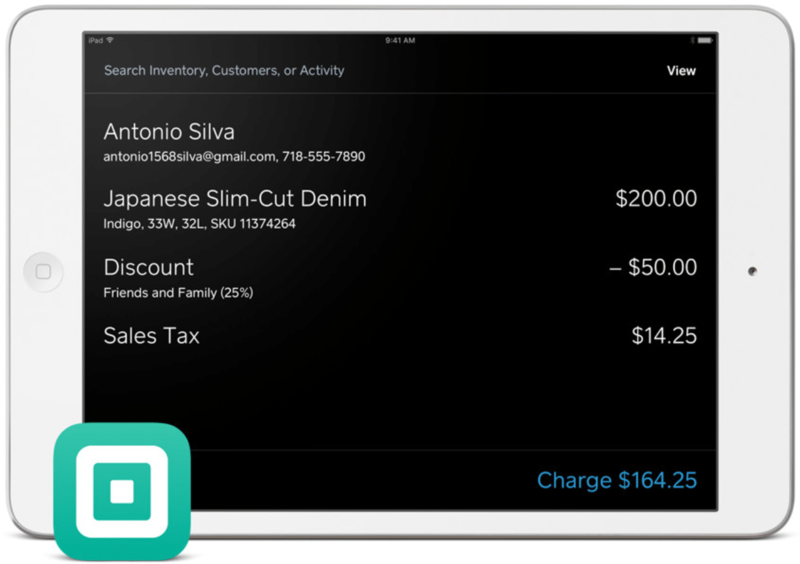 A POS system like Square delivers a free set of powerful omnichannel sales tools so you can market your products and brand to customers everywhere they shop. What do you think about our in-depth analysis of the transformation of brick-and-mortar retail and its impact on independent stores? We’d love to hear your thoughts and input in the comment section below. This is an exciting time for retail! You explained brick and mortar very well. Sometimes when I’m bummed out because I feel all the good stores we grew up are closing, I remember there will always be something better, it takes time but later. Give small businesses a chance to grow larger and you’ll see!! Thank you again for your time and research. Thank you! It’s a fact that the multichannel sales sphere we’ve entered kills off those slow to convert. But that leaves room for the small, independent, and technically savvy entrepreneurs to prosper — and introduce us to new ideas and products. it is an analysis far beyond the standard ones, beyond bubbles.. Thank you! The team worked very hard on this one. Krista, this is a fantastic, comprehensive article well worth the read! Thank you so much! It was exactly what I was looking for and you did an amazing job on this piece! Right now there are plenty of options, online and in-store, for everyone to shop however they prefer. I think the biggest boost for the buyer is the ability to price compare, wherever they finally wind up buying.